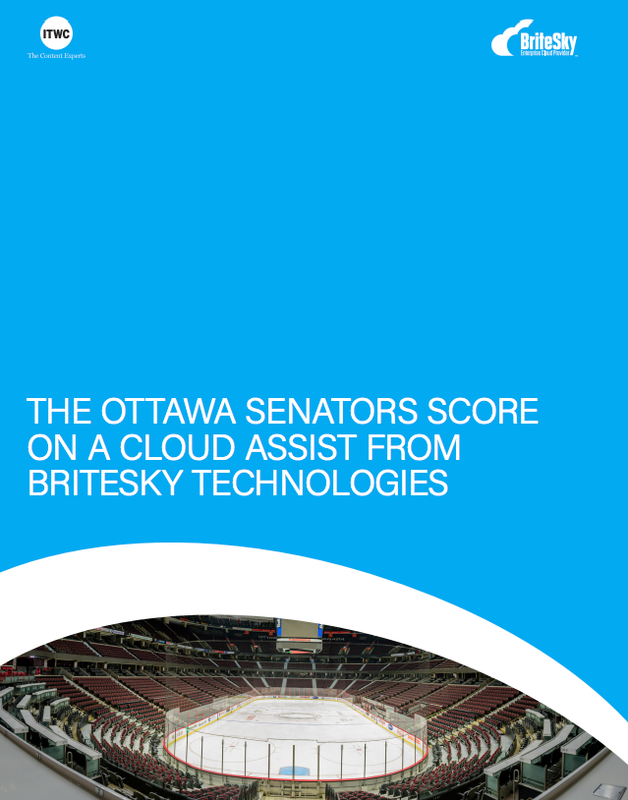 Cloud computing services are now a mainstream option for Canadian organizations. Over the last decade, cloud providers have improved security and addressed other concerns raised here. Cloud services are now a multibillion dollar industry in Canada. Cloud providers include a number of large firms such as Amazon (Amazon Web Services), Apple (iCloud), Microsoft (Office 365) and IBM (SoftLayer Platform). Every year, there are also new companies and services being created based on cloud computing principles. For consumers, the flexibility and low cost of cloud services are extremely appealing. According to Forrester Research, 77 per cent of American online adults used cloud services in 2013. As millions of people upload sensitive information, some firms have responded with increased transparency and investment. Consider the example of Evernote, a company founded less than 10 years ago. As of May 2014, Evernote reported having over 100 million users, 27 million of them in Canada and the U.S.
Chad Williams, who runs a health and fitness coaching company from Vancouver, uses Evernote to serve his clients. By 2018, Canada’s cloud sector will employ more than 50,000 workers according to a report published by the Information and Communications Technology Council (ICTC). According to the ICTC report, “The Canadian cloud economy contributes $4.6 billion annually to Canadian GDP.” That figure projected to climb to $8.2 billion by 2018. The University of Alberta (adopted in 2010) and Lakehead University (adopted in 2008) use Gmail, Google’s cloud email service. The benefits of switching to Gmail include increased email storage and a centralized scheduling capability. In 2008, Lakehead’s estimated annual savings from adopting Gmail were $250,000 per year. In a September 2012 interview with the Globe & Mail, Netflix CEO Reed Hastings stated: “Canada has the misfortune of being the country with the lowest Internet (data) caps in the developed world. In Mexico, Internet is largely uncapped; in the U.S. it’s largely uncapped; in the U.K. it’s completely uncapped. Salesforce has directly benefited the bottom line at Kindred Home Care. “Using Salesforce means more cash in the bank and more capacity to focus on growth and service,” Bernard continued. Salesforce shows that cloud services are not just about the back office, and can directly improve the day to day life of sales staff and the bottom line. Yvon Audette, KPMG Canada’s National Partner-in-Charge, IT Advisory. The international nature of cloud computing raises questions in some quarters. Specifically, questions whether U.S. based cloud service providers will violate Canadian privacy expectations when ordered to do so by American officials. “Public sector and health care organizations in Canada continue to have great concerns in using U.S.-based cloud services,” Yvon Audette, KPMG Canada’s national partner in charge of IT advisory, said in an interview. For these organizations, potential mishandling or loss of personal information such as Social Insurance Numbers is one of the greatest worries hindering adopting of cloud services. Audette points out that cloud providers are responding to this concern in several ways including establishing data centres on Canadian soil. “Many financial institutions in Canada are required to keep track of their data and be able to report where that data is stored. Some cloud service providers are not equipped to meet that requirement,” Audette said. However, new products such as IBM’s SoftLayer platform make it easier to administer cloud services and identify the geographical location of cloud services. In Audette’s experience, there are multiple benefits to adopting cloud services. “SaaS [Software as a service] applications are often more flexible and include Web support which is lacking in traditional applications,” he explained. Cloud services also permit faster project implementations – an important factor for CIOs seeking to increase project productivity. “In my discussions with Canadian IT leaders, data security is the one common concern they had in adopting cloud computing,” Samir Afara, a cloud computing expert and senior IT project manager at CIBC, explained in an interview. Fortunately, there are ways to manage these risks and still realize the benefit of cloud services. “These compliance concerns can be managed in several ways including inserting a right to audit clause in the service contract and the right to review contractors and third parties involved in the service,” Afara said. “Involving legal and compliance staff in contract discussions with cloud providers is a key way to manage risk,” he continued. The benefits of adopting cloud computing go beyond cost savings. “The ability to scale up and scale down cloud services reduces risk for IT organization,” explains Afara. Fighting back: Is the time for defensive IT security policy over?